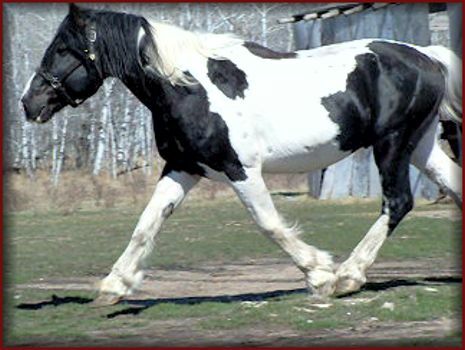 Flint's DNA test results are back and he is HOMOZYGOUS for TOBIANO. This means all of his future offspring will be spotted! Flint has a super quiet disposition. He is halter broke and easy to work with. 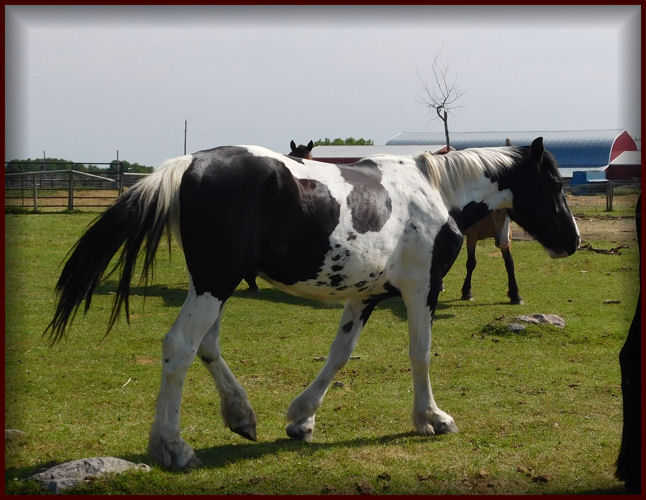 He is currently on lease and we look forward to seeing his first foals in 2019! 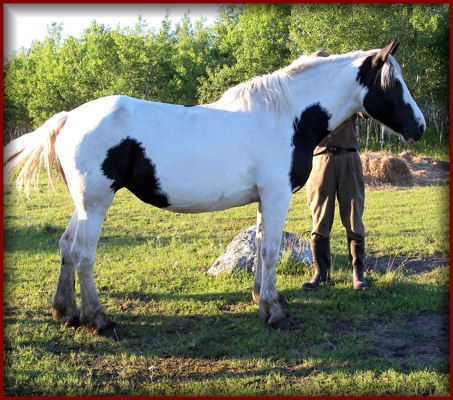 Stay tuned for photos spring/summer 2019.
out our stallion and mares but we look forward to some foals from this beautiful boy in a few years time! Proven producer of sport horses competing in jumping and dressage. 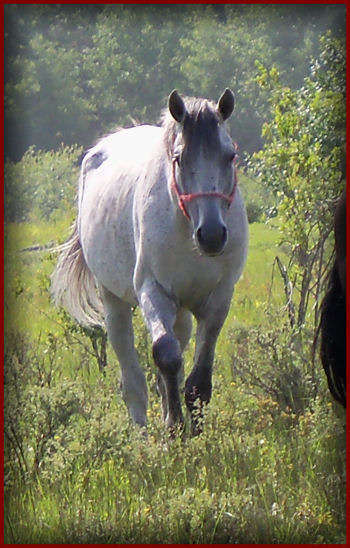 MJ Ringo out of a Percheron mare. 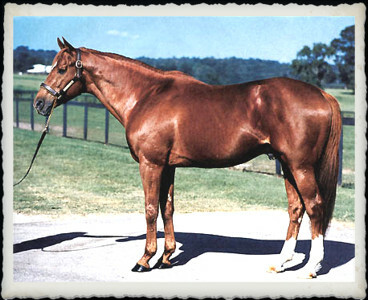 by Pasewalk (son of Polarmond). Movado is now sold. All the best to his new owner in Virginia! 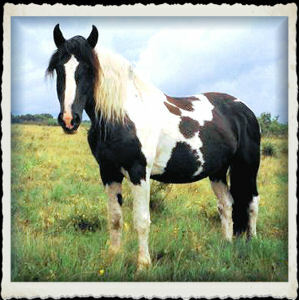 black tobiano Spotted Draft stallion. 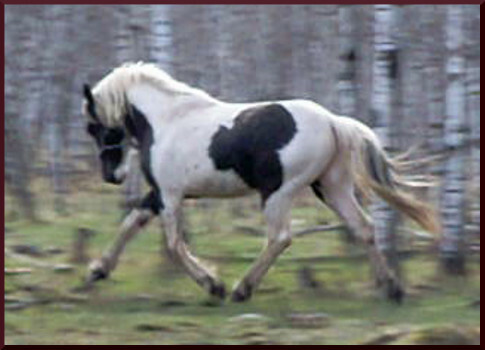 tobiano markings. He sports a moustache! Birch is now sold. All the best to his new owner in Virginia! of growing and maturing before he reaches his final height. Odyssey is now sold. All the best to his new owner in Virginia! with blue eyes and pink skin. 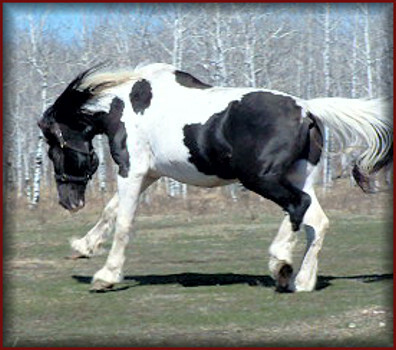 Now owned by Claude in Ontario. 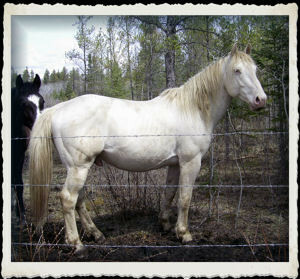 We did not own this stallion - he was the sire of two of our foals.